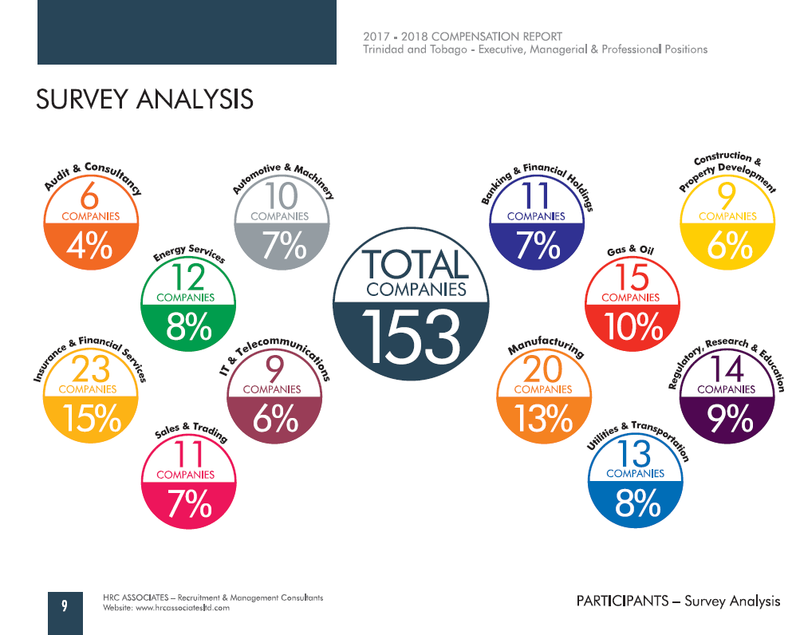 HRC Associates is pleased to present the results of our 2017-2018 Compensation Survey of Executive, Managerial and Professional Positions by Industry Sector, carried out between February and September 2017. 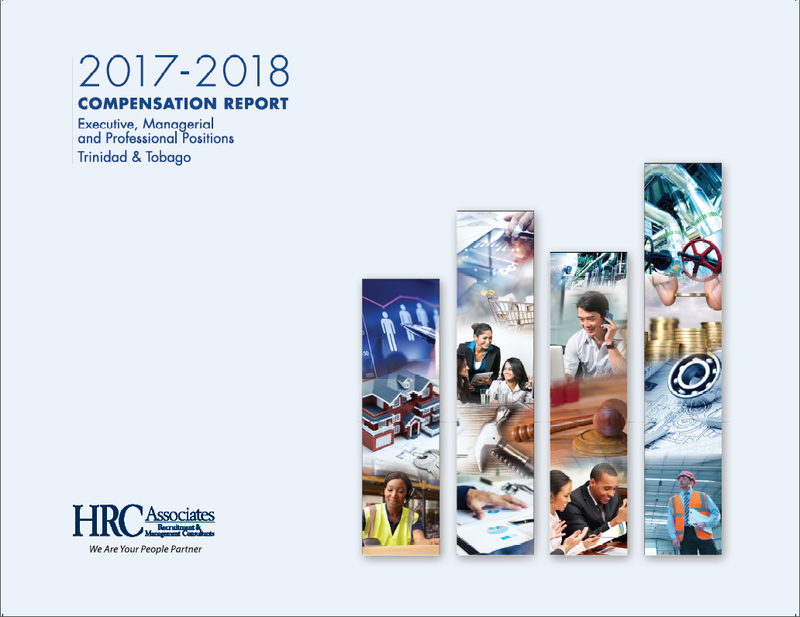 This year’s Report is titled “Compensation Adjustments in Economic Decline” to identify how companies are planning their compensation programmes in the current challenging economic climate. 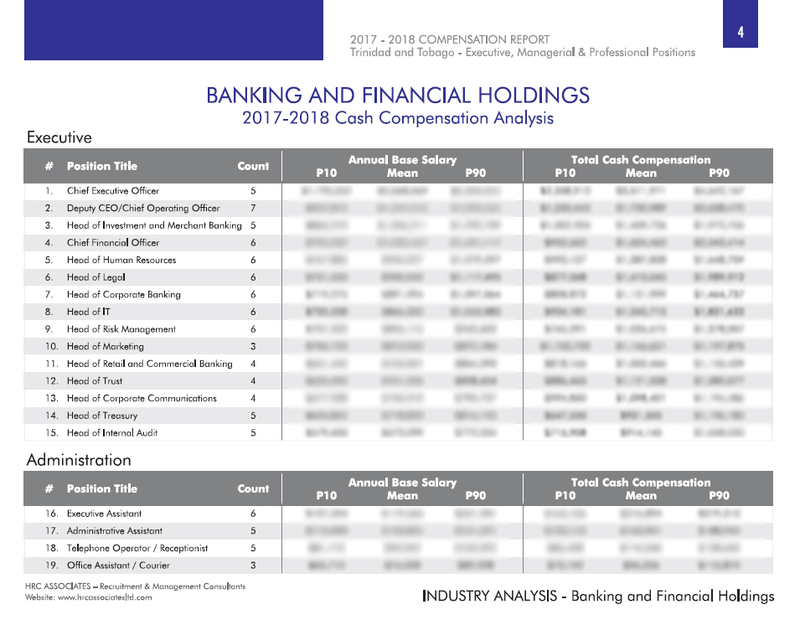 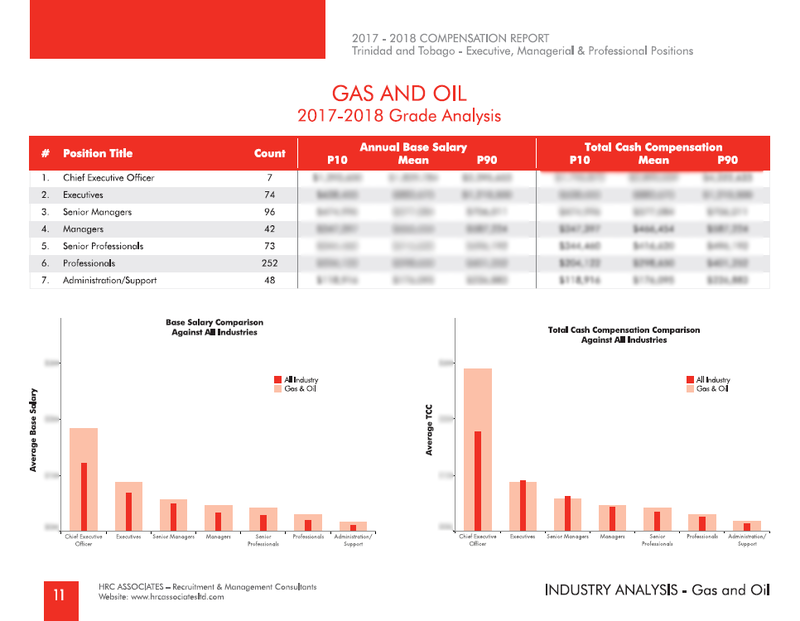 This report represents the 17th instalment of our biennial Compensation Report for Trinidad & Tobago, spanning the last 27 years. 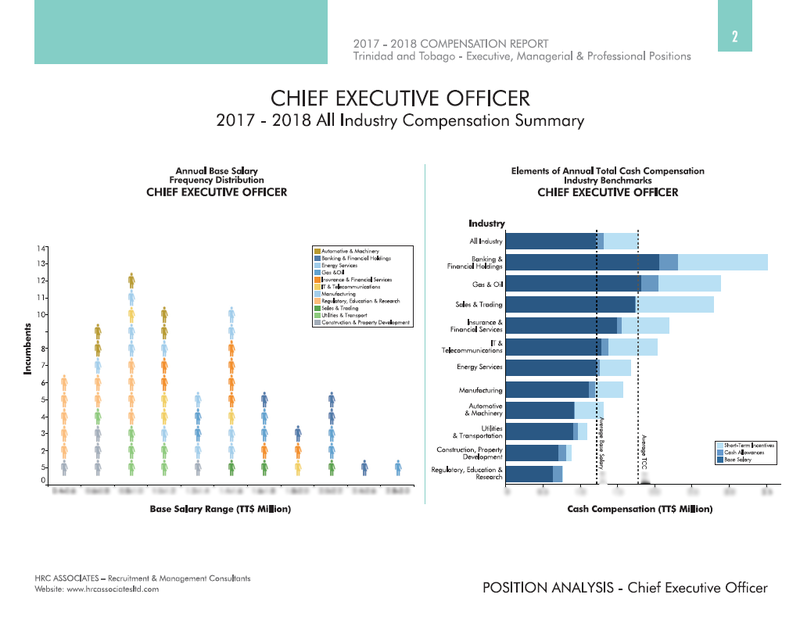 The primary intent of this Report is to provide information on annual base salary compensation and total annual compensation earned by employees working in full-time positions, with sections for the overall data across all industries and by industry sector. 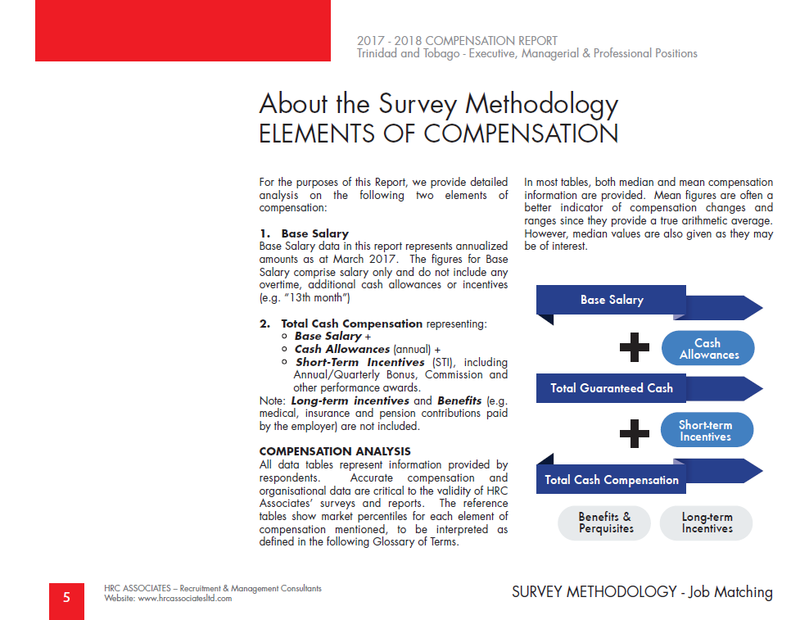 The Report also contains an analysis of trends in key benefits, by employee level.